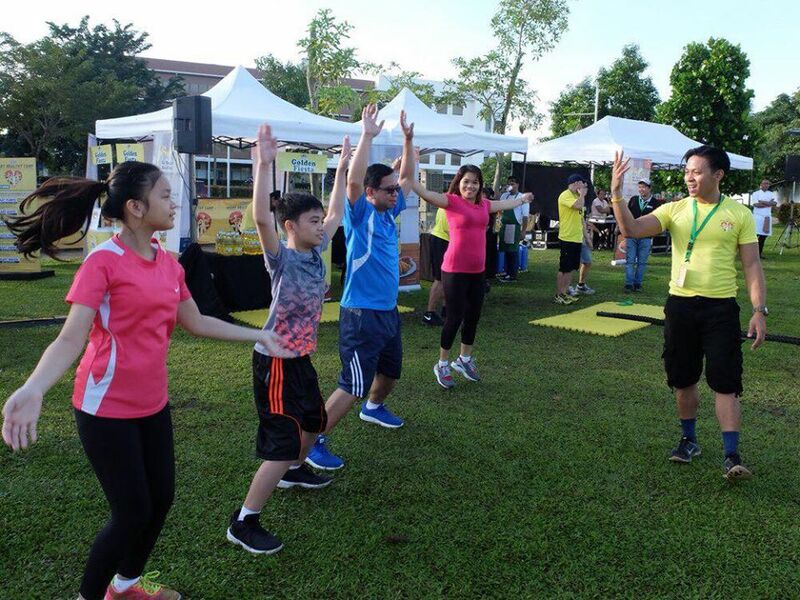 A tropical cyclone had come and gone, the sun was up bright and early, and for the Philippines’ leading cooking oil brand, Golden Fiesta, it was perfect weather for the special gathering of health enthusiasts, both incorrigible veterans and newbies in the fitness game. Clad in their exercise gear, they all trooped to Solenad 1 in Nuvali, Laguna, last Saturday, November 11, some as early as 6 a.m., for Golden Fiesta’s Heart Healthy Camp—a fun-filled holistic fitness program designed to improve one’s overall body strength and conditioning. Their singular goal: to jump-start a heart-healthy lifestyle and be physically fit at any age. The sunny weather matched the high spirits of participants—some with their families or groups of friends in tow—as they kicked off the weekend on a high note. The organizers couldn’t have felt more gratified as Golden Fiesta successfully held the first leg of its Heart Healthy Camp. The free-admission fitness camp, after all, was warmly received by scores of fitness enthusiasts who quickly filled up the Solenad 1-Flex Lot and got the new fitness regimen going. Camp participants readily tried out an assortment of workout routines and activities that were categorized into beginner, intermediate, and advanced levels that matched their varying fitness requirements. Each station was manned by professional coaches and trainers to ensure that everyone was carrying out the exercises properly and safely. The workout activities included Pumps! Plyometric Box Jumps; Heart Skips! Low Hurdles; Heart Beats! Agility Ladders; Elastic Heart! Fitness Band; Heart Swing! Kettle Bells; and Heart Waves! Battle Ropes. The morning was likewise made livelier by a Zumba session led by top Zumba and yoga instructor Karen Buenvenida. 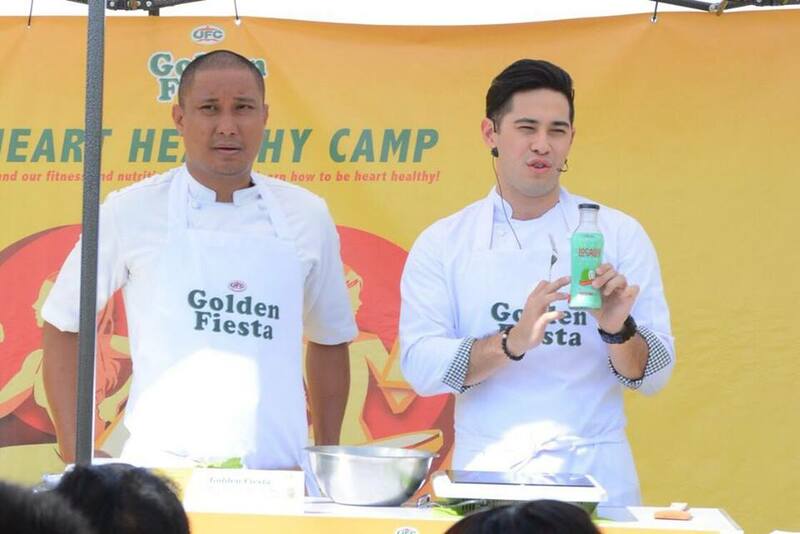 The camp participants might have worked up quite an appetite after all the activities that they eagerly watched a live cooking demo—of recipes using heart-healthy Golden Fiesta Canola Oil—conducted by Pinoy celebrity chef Jose Sarasola. 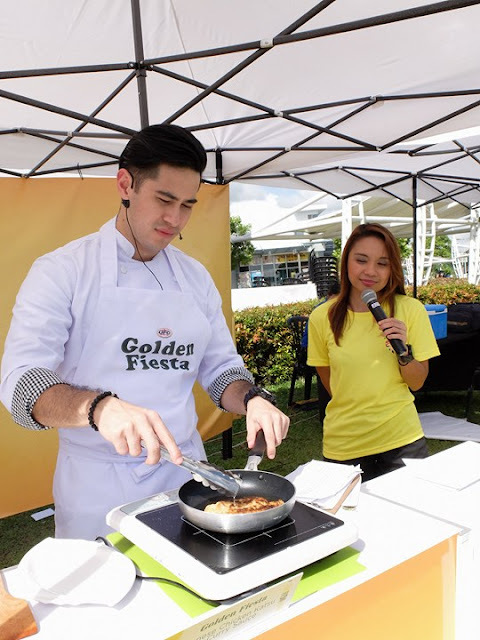 Sarasola showed the audience how to prepare simple, heart-healthy meals like Golden Fiesta Lettuce Salad with Guyabano Vinaigrette, Golden Fiesta Bangus Back Fillet and Adobo Kangkong Duo, and Golden Fiesta Japanese Chicken Katsu in Curry Sauce. The cooking demo was followed by a food sampling, of course. “To be healthy, you have to eat healthy, and part of that lifestyle is choosing the right kind of oil. There’s a misconception that all oils are unhealthy—that’s not the case with the heart-healthy and versatile Golden Fiesta Canola Oil, which is not only good for frying but also for making sauces and salad dressings. It does not take rocket science to learn and make healthy meals at home,” Sarasola said. “To reach the goal that you want in life, you have to really work hard for it. And when it comes to achieving that healthy lifestyle and physically fit body, Golden Fiesta Canola Oil is there to aid you,” he added. Golden Fiesta Canola Oil is a rich source of cholesterol-reducing phytosterols, an all-natural plant extract that can reduce your body’s cholesterol level by as much as 15 percent. Scientific studies and trials show that consumption of two grams of phytosterols per day has the potential of diminishing one’s risk of developing coronary heart disease. Participants were encouraged to learn more health tips by engaging in “Heart Talks,” which was conducted by licensed nutritionist-nietician and fitness specialist Fia Batua. “We Filipinos can’t say no to fried food, but the good news is Golden Fiesta is promoting simple changes that we can do on a daily basis to improve our overall health. We urge everyone to start these simple lifestyle changes in your kitchen,” Batua said. 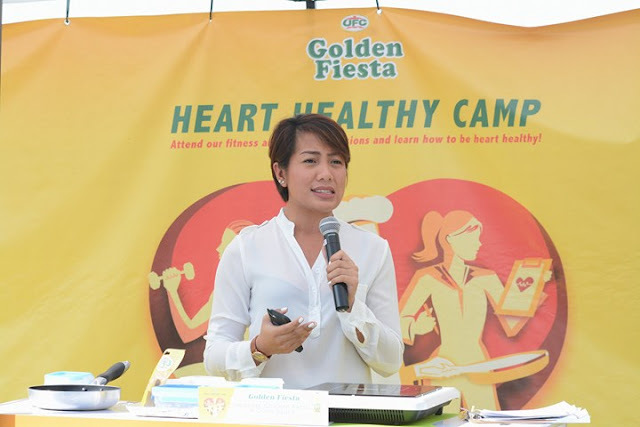 According to Carl Constantino, category marketing manager at NutriAsia, the Golden Fiesta Heart Healthy Camp is the brand’s way of reaching out to Filipino consumers and encouraging them to be more mindful of their food choices and to maintain an active lifestyle despite tight schedules. 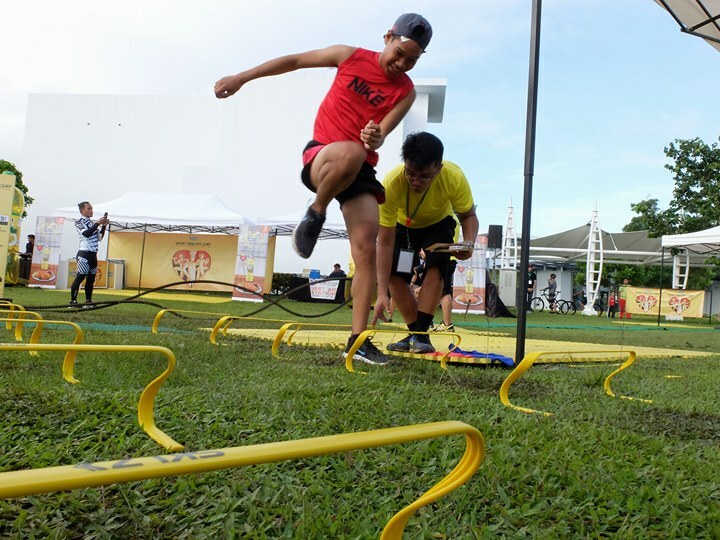 “We are very happy that residents of Laguna and nearby areas took this opportunity to learn and enjoy new fitness techniques from fitness experts and enthusiasts—all for free,” Constantino enthused. 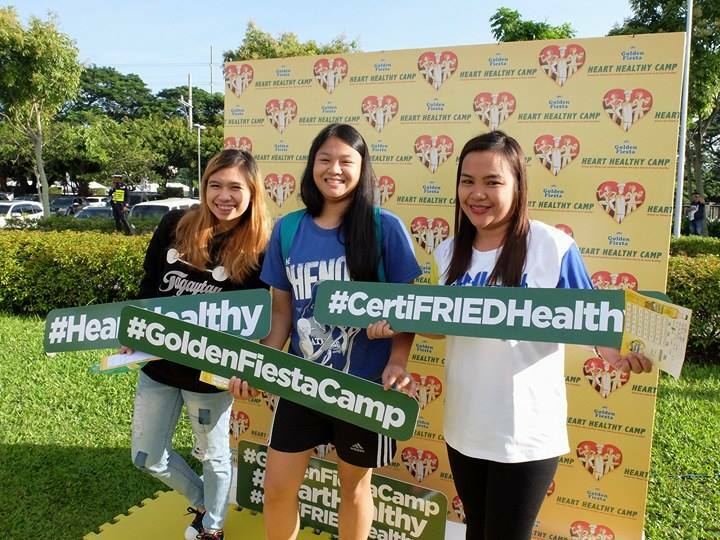 After the Nuvali leg, the Golden Fiesta Heart Healthy Camp will proceed to Track 30th at Bonifacio Global City in Taguig onNovember 26 (Sunday) and to Eton Centris Walk in Quezon City on December 3 (Sunday). 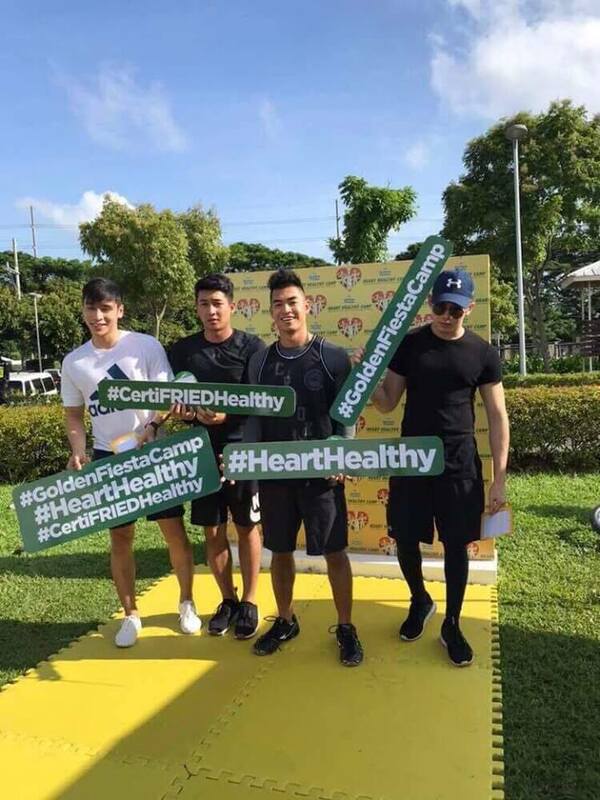 The Golden Fiesta Heart Healthy Camp is coming soon to a venue near you, so make sure to check out Golden Fiesta’s Facebook page at https://www.facebook.com/GoldenFiestaPH/ for updates on upcoming legs.